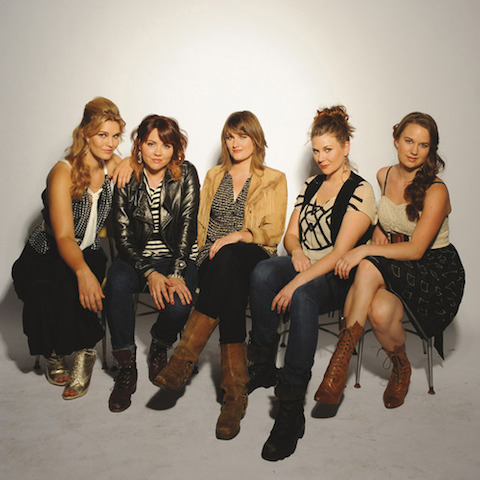 Rising stars Della Mae will make their debut appearance at the legendary Grand Ole Opry on Tuesday, December 10, 2013. The group, who were voted Emerging Artist of the Year by the International Bluegrass Music Association, has been on tour throughout the year in support of their acclaimed Rounder Records debut, This World Oft Can Be. The show, featuring Martina McBride and Rascal Flatts, will take place on 10th December 10 at 7:00 pm at the Ryman Auditorium, located at 116 Fifth Avenue North in Nashville, (615) 889-3060. Tickets are priced from $25.00 to $57.00, and can be purchased at the Ryman box office, or at www.getgaylordtickets.com. Della My are excited at the opportunity to perform at the Opry. “We couldn’t be more proud. We’ll be playing alongside Martina McBride, Rascal Flatts, and more. It’s a bluegrass miracle! Stream audio at WSM Radio – www.wsm.com, or download the Grand Ole Opry app. This will be their final show of the year, and what a way to top off an incredible year.